The Jacaranda trees are blooming again; as I make my daily walk I'm dazzled by the purple haze blotting the sky, the dropped petals sticky beneath my feet. For the walk to do any good, it's supposed to be brisk, and I know I need to keep up the pace, but the lushness of the purple always takes me by surprise, stopping me in my tracks. I take pictures with my iPhone, wishing I were an Impressionist painter, Monet, Manet, I don't care. I just wish I could capture that feeling of being enveloped in an heart-stopping ultra-violet cloud of color. It happens every year in April, there's something decadent, sensual, almost sexual about the assault of purple passion. Sometimes as I drive the streets of LA, I catch myself half looking up at the canopy of blooms; distracted driving just as dangerous as texting. That feeling of being swept away is unhappily, as fleeting as pulse-quickening desire, and if you feel the urge to make love under the trees, you need to act quickly: the Jacarandas only bloom for about six weeks. The trees are not native to our California; they're subtropical in nature so you'll find them in most south of the equator countries. 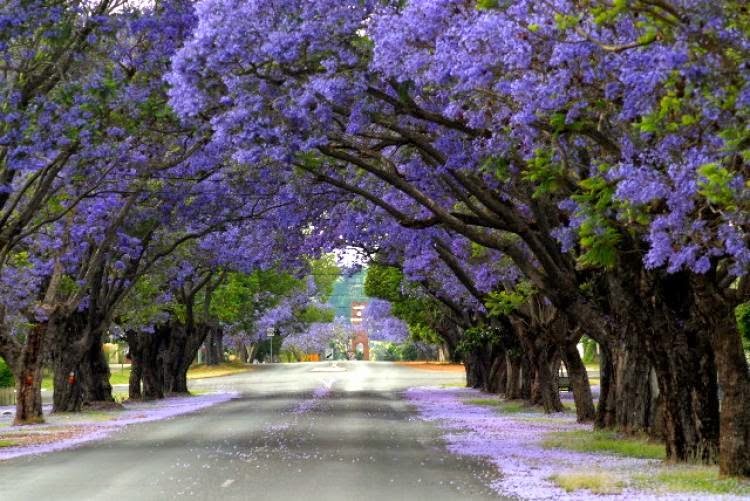 The theory is that the Jacarandas came to Los Angeles in the mid 1800's by way of travelers from Brazil; in Buenos Aires the trees bloom more blue than our purple profusion. 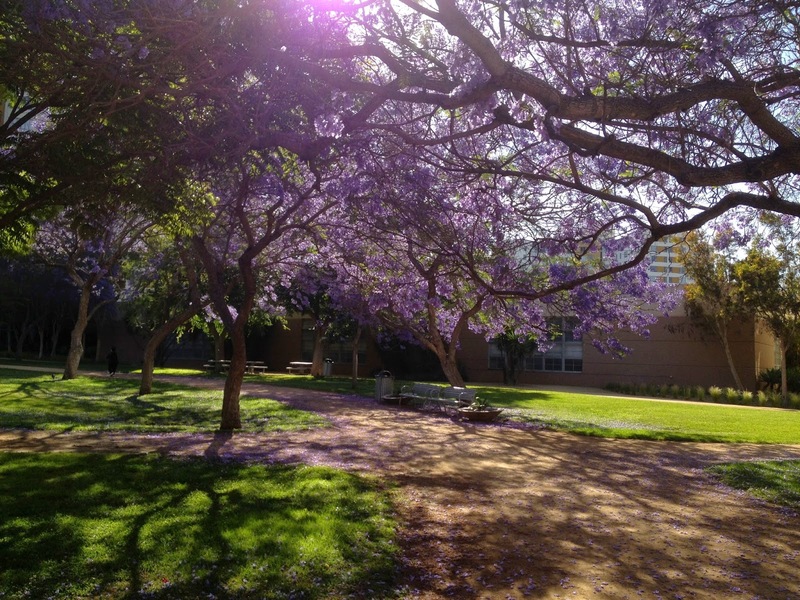 Oh, Jacarandas, you take my breath away. If you stopped by for the memoir, you might want to head up to the pieces under the On the Street Where I Lived heading. For the month of April I'm diverting from my norm, which is mostly memoir, and posting every day but Sunday as part of the #AtoZChallenge. J is the letter of the day.